Update, 11am, January 15: The Department for Education called FE Week to say that the minister’s visit to the National College for Digital Skills had been cancelled. A government-wide campaign to boost the country’s engineering skills is being officially launched today by Anne Milton. 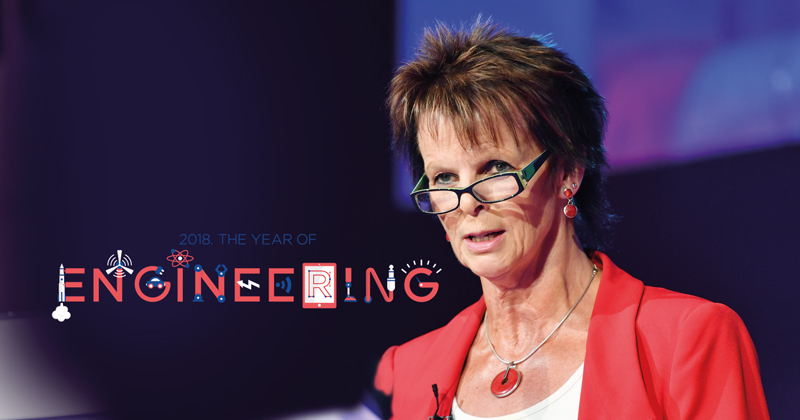 The Year of Engineering is designed to change perceptions about engineering, and encourage more people from diverse backgrounds to take up careers in the sector. The skills minister will officially kick-off the year with a visit to the National College for Digital Skills later this morning. “I want to see everyone whatever their background, wherever they live to have a chance to get a rewarding career or job in engineering whether they come via a technical or academic route,” she said. She described the campaign as a “great opportunity to work together with business to inspire a new generation of world class engineers”. Although engineering is one of the country’s most productive sectors, it still faces an estimated shortfall of 20,000 graduates a year. The campaign will see government and around 1,000 partners – including Crossrail and Ocado – deliver “a million inspiring experiences of engineering for young people, parents and teachers”, according to today’s announcement. These will include a roadshow, called Siemens See Women, aimed at inspiring more women, including black, Asian and minority ethnic girls, to pursue STEM careers – to increase diversity in a sector that is currently 91 per cent male and 94 per cent white. Chris Grayling, transport secretary, said: “Engineers – whether they are working on cutting-edge technology in aerospace, energy or artificial intelligence – are vital to the lifeblood of our economy”. By bringing young people “face to face with engineering role models and achievements we can send a clear message that engineering careers are a chance for all young people, regardless of gender, ethnicity or social background, to shape the future of this country and have a real impact on the lives of those around them,” he said. Sir Terry Morgan, Crossrail chair, said the year was a “fantastic opportunity” to “show the range of opportunities there are for training and jobs” in engineering. And Mark Richardson, Ocado chief operating officer, said that encouraging more people to take up careers in engineering was “essential to ensure the growth and development of new technologies and businesses in the UK”. The year was first announced by Mr Grayling at the Skills Show in Birmingham, last November. “If you look at what the skills show is all about, bringing thousands of young people to see engineering in action and to see what they would be doing if they chose engineering as a career, there is no better place to send the message,” he told FE Week.